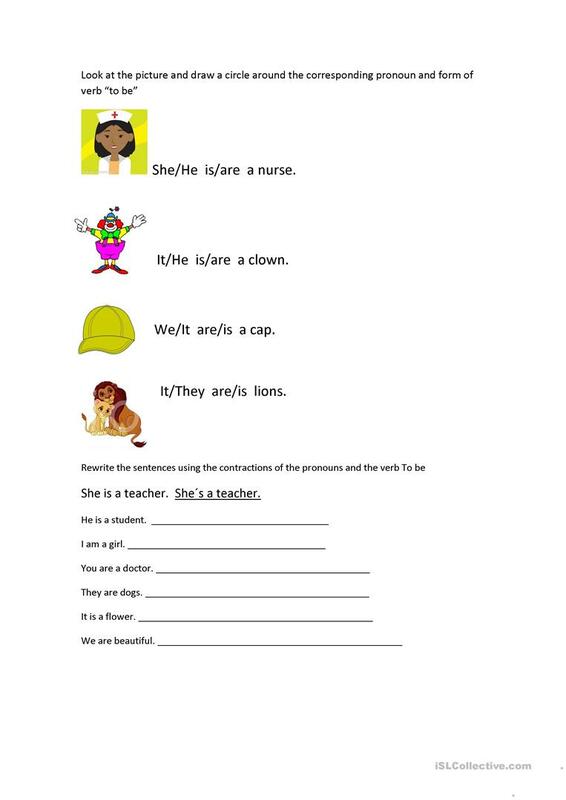 The students must look at the picture and draw a circle around the corresponding pronoun and form of the verb "to be"
The above printable, downloadable handout is meant for elementary school students at Elementary (A1) level. It is a useful material for practising Personal pronouns in English, and is excellent for working on your class' Reading and Writing skills. It focuses on the vocabulary topic of Classroom.